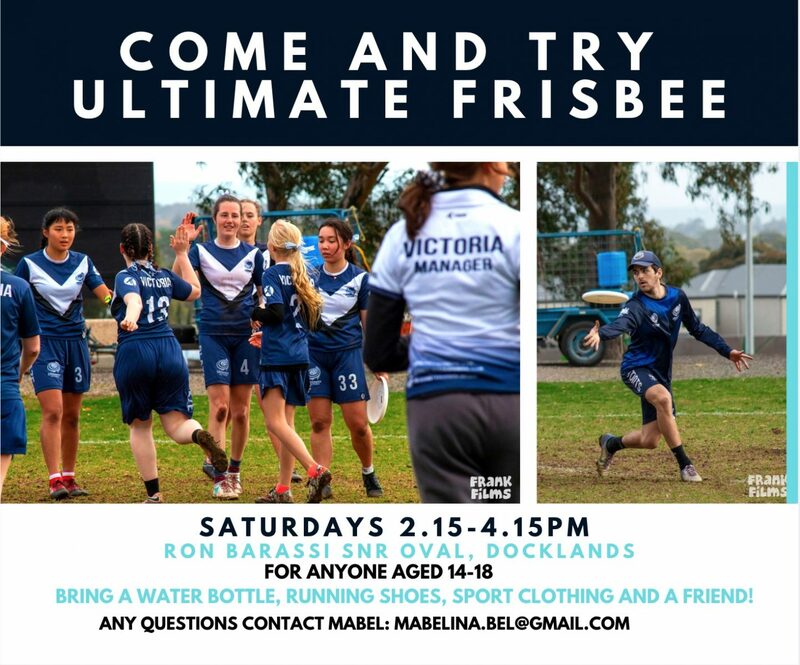 Beginning this Saturday 23rd March, these sessions run by our amazing coaches will provide a great opportunity for anyone aged 14-18 to come along and give Ultimate Frisbee a go. Fundamentals about how the game works as well as throwing techniques will be taught. Skills and experience aren’t necessary. Just turn up and have some fun in the sun! Players interested in playing for the U18 Victorian teams are encouraged to attend these sessions before the selection events to occur on Saturday 4th and Sunday 5th May. Times, location and player expressions of interest for the selection events will be announced soon. Download a the flyer for the Come and Try sessions here.